According to UNICEF 4.5 million orphans live in Ethiopia. That's five percent of the total population and 10 percent of the under 18 population. Stop and think about that for a moment. 10 percent of children in Ethiopia are orphans. They've lost one or both of their parents to AIDS, hunger, illness, or poverty. In rural areas, like Sasiga, this often means that grandmas and grandpas, aunties and uncles are taking under their wing a child they didn't plan on raising, a child they may barely be able to feed, house, or send to school. Tariku is one of these orphans. Both his parents passed away, so Tariku now lives with his aunt, a hard working woman who already struggles to bring up her own three children. At fourteen years of age, Tariku is a sharp boy with a lot of potential, but poverty and his family situation have held him back. Two years ago he had to drop out of school when his aunt could no longer afford to buy his annual school supplies. When Food for the Hungry (FH) Ethiopia intervened in his community, however, Tariku had the opportunity to be sponsored by a Canadian family. This changed so much for him and his aunt. 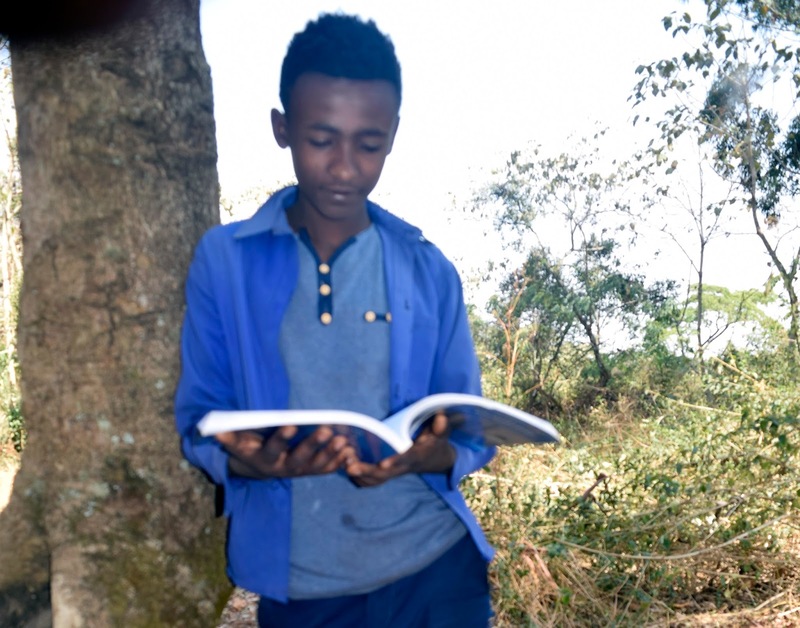 Sponsorship covered the cost of his school fees, school supplies, and uniform, as well as paid for medical bills and opened up new opportunities for his aunt. 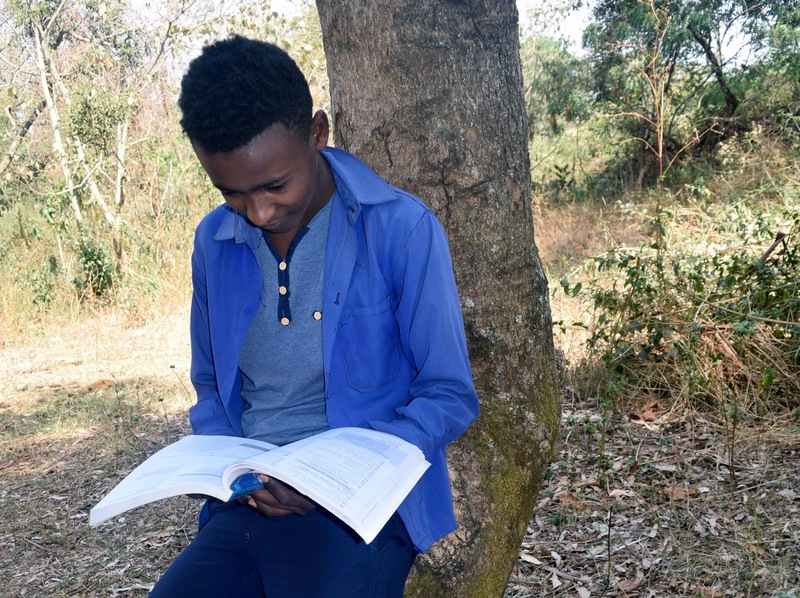 The encouragement he received from FH staff and his sponsored family gave him the motivation and freedom to return to school and focus on studying without the anxiety of wondering where his school fees would come from. Since then, Tariku's school performance has soared. With continuous follow up and counseling from FH staff members and steady encouragement from his sponsoring family, Tariku's potential has exploded! Last semester, with an average score of 97 percent, he stood first in his Grade 7 class and achieved the highest exam results in Jimata Gumbi Primary School. Because of the intervention of FH and his sponsoring family, Tariku can now dream of becoming an engineer with the real hope of actually achieving that dream.